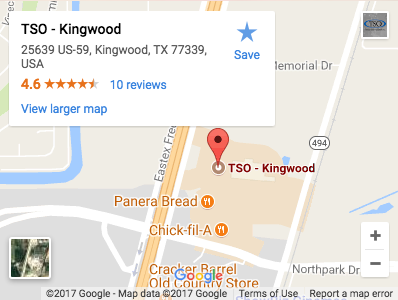 Please walk-in to TSO Kingwood with red eyes, pink eye, or scratched eyes for immediate attention in Kingwood, TX. 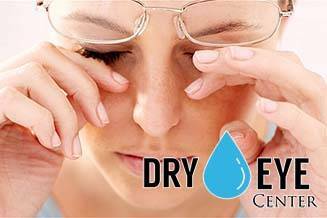 TSO Kingwood specializes in Dry Eye diagnosis & treatment featuring the latest technology to relieve symptoms & irritation. Eyes are important indicators of overall health, and comprehensive eye care goes beyond a prescription for glasses or contact lenses. At TSO Kingwood, Dr. Katy Owens takes the time to get to know you, your eye care history, and your vision needs. Our Kingwood eye doctor provides the expert care, advice, options, and follow up you need whether you are a new patient or an existing one. 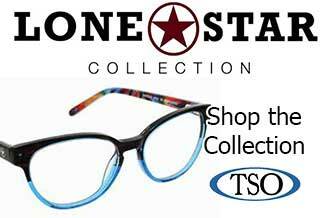 Texas State Optical serves Kingwood, Humble, Porter, Atascocita, and New Caney, and has locations across Texas and the Southwest and has built a reputation for combining the latest technology and years of experience to provide you with thorough eye exams and fashionable, affordable eyewear. TSO in Kingwood was recommended to me by a friend who took her son to see Dr. Katie Richard Owens. We were greeted with friendly smiles from the moment we walked into the door. There was no wait time to be seen. The staff took their time to perform each exam on my son and gave him the best care possible. I felt at ease and they walked me through each step of the process. 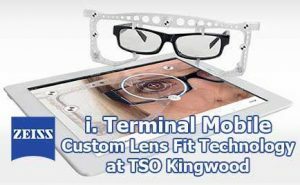 I would highly recommend TSO Kingwood to anyone looking for professional and friendly eye care. Very friendly staff & the Drs. are great!! This place was fantabulous! Awesome helpful staff and quick service. Exam and glasses within an hour. This will be my go to from now on. Love this place! The staff the doctor everything was great! Only thing is I wish they offered or had a discount plan for patients that are self pay. 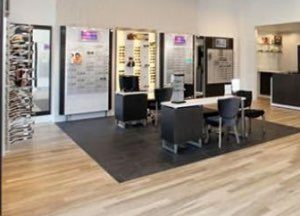 Our Kingwood optometrist knows what you’re looking for and, along with our entire Kingwood optometric staff, will help you see and look your best. Dr. Pham is proud to be part of the TSO family which is built on a foundation of patient-focused care and quality products. Our Kingwood eye care practice enjoys building relationships with many of our patients and many times, entire families choose TSO Kingwood for all their vision needs. There’s no greater satisfaction than to provide vision care for a grandmother, son and granddaughter from the same family. 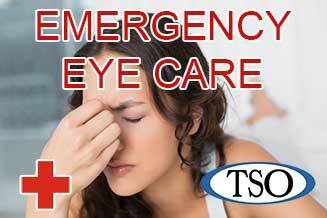 From our Kingwood eye care center, TSO also serves patients from Humble, Porter, Atascocita, and New Caney as well as the entire North Houston area. Book an appointment with us, today. If you have a moment, please give us your feedback about our site and your experiences with our Kingwood eye care center. When I read a label on food items, I need to move it further away from me. What’s happening? Presbyopia is when the crystalline lens of your eye loses flexibility making it difficult to focus on close objects. Symptoms of presbyopia may start to occur in early to mid-40s. Patients often come in when “their arms are too short” to read small print on labels or prescription medications. It is a naturally occurring process of maturing eyes and cannot be prevented. Reading glasses, progressive (no line bifocals) lenses, and multifocal contacts are some of the lenses we use to help with presbyopia.